Hatha Yoga is an ancient holistic system of health and self-development that begins with the body as a practical way to affect all aspects of ones being on both the physical, mental, emotional and spiritual levels. Hatha Flow is a combination of dynamic, energizing sequences of postures for strength and flexibility, rejuvenating flows for deep release and relaxation, moving into still postures for longer periods. Breath and movement are linked together to create flowing sequences of related asanas, which helps to rejuvenate the body and release mental and emotional tension, inducing deep relaxation as awareness of breath, body and mind becomes integrated. Well Woman yoga classes are for women looking to maintain good health, reduce stress and have a bit of fun as they challenge themselves physically and mentally. In these classes you are encouraged to work to your own individual ability but also challenge your body and mind, allowing you to find and express your own style of yoga in a safe and fun environment. All classes are structured to be suitable for beginners and more experienced yogis. Learn new postures that awaken energy and develop your body's vital strength and flexibility further. These classes are for those with previous Yoga experience, and who are looking for more understanding and self-awareness through Yoga. The postures help to improve overall wellbeing and physical fitness. Traditional self practice class where students can work at their own pace and rhythm with personalised assistance, essentially having a one to one session in a group setting. Classical Ashtanga Vinyasa or Vinyasa Krama sequences supported in this Mysore Class. 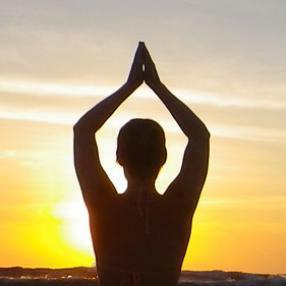 a combination of Hatha Yoga, Prana Yoga, Raja Yoga, Bhakti Yoga and Kundalini Yoga. A gentle class for all who are recovering from illness or injury, are feeling elderly or infirm, or if you just prefer a slower, more cautious pace. In this gentle but effective class we do postures, which are good for everyone. The practise is designed for those, who have lost some mobility in the body and who need a slow and gentle rhythm to restore good physical condition. If needed, we will provide chairs for sitting and as a tool for some postures.